Science fiction and fantasy magazines began to be published in the United States in the 1920s. Stories with science fiction themes had been appearing for decades in pulp magazines such as Argosy , but there were no magazines that specialized in a single genre until 1915, when Street & Smith, one of the major pulp publishers, brought out Detective Story Magazine . The first magazine to focus solely on fantasy and horror was Weird Tales , which was launched in 1923, and established itself as the leading weird fiction magazine over the next two decades; writers such as H.P. Lovecraft, Clark Ashton Smith and Robert E. Howard became regular contributors. In 1926 Weird Tales was joined by Amazing Stories , published by Hugo Gernsback; Amazing printed only science fiction, and no fantasy. Gernsback included a letter column in Amazing Stories, and this led to the creation of organized science fiction fandom, as fans contacted each other using the addresses published with the letters. 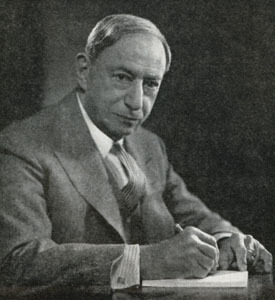 Gernsback wanted the fiction he printed to be scientifically accurate, and educational, as well as entertaining, but found it difficult to obtain stories that met his goals; he printed "The Moon Pool" by Abraham Merritt in 1927, despite it being completely unscientific. Gernsback lost control of Amazing Stories in 1929, but quickly started several new magazines. Wonder Stories , one of Gernsback's titles, was edited by David Lasser, who worked to improve the quality of the fiction he received. Another early competitor was Astounding Stories of Super-Science , which appeared in 1930, edited by Harry Bates, but Bates printed only the most basic adventure stories with minimal scientific content, and little of the material from his era is now remembered. A fantasy fiction magazine or fantasy magazine is a magazine which publishes primarily fantasy fiction. Not generally included in the category are magazines for children with stories about such characters as Santa Claus. Also not included are adult magazines about sexual fantasy. Many fantasy magazines, in addition to fiction, have other features such as art, cartoons, reviews, or letters from readers. Some fantasy magazines also publish science fiction and horror fiction, so that here is not always a clear distinction between a fantasy magazine and a science fiction magazine. For example, Fantastic magazine published almost exclusively science fiction for much of its run. In 1933 Astounding was acquired by Street & Smith, and it soon became the leading magazine in the new genre, publishing early classics such as Murray Leinster's "Sidewise in Time" in 1934. 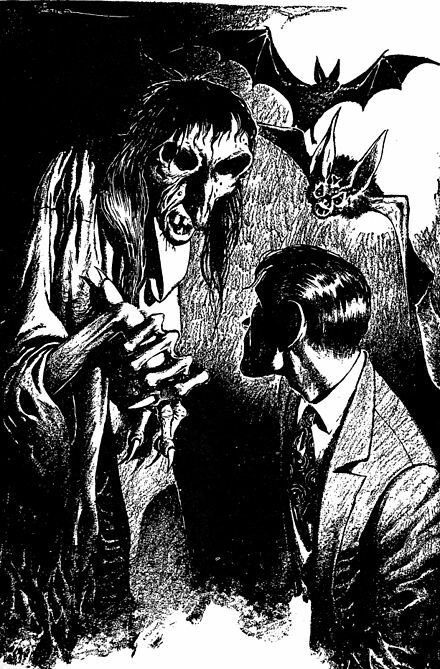 A couple of competitors to Weird Tales for fantasy and weird fiction appeared, but none lasted, and the 1930s is regarded as Weird Tales' heyday. Between 1939 and 1941 there was a boom in science fiction and fantasy magazines: several publishers entered the field, including Standard Magazines, with Startling Stories and Thrilling Wonder Stories (a retitling of Wonder Stories); Popular Publications, with Astonishing Stories and Super Science Stories; and Fiction House, with Planet Stories , which focused on melodramatic tales of interplanetary adventure. Ziff-Davis launched Fantastic Adventures , a fantasy companion to Amazing.Astounding extended its pre-eminence in the field during the boom: the editor, John W. Campbell, developed a stable of young writers that included Robert A. Heinlein, Isaac Asimov, and A.E. van Vogt. The period starting in 1938, when Campbell took control of Astounding, is often referred to as the Golden Age of Science Fiction. Well-known stories from this era include Slan , by van Vogt, and "Nightfall", by Asimov. Campbell also launched Unknown , a fantasy companion to Astounding, in 1939; this was the first serious competitor for Weird Tales. Although wartime paper shortages forced Unknown's cancellation in 1943, it is now regarded as one of the most influential pulp magazines. Only eight science fiction and fantasy magazines survived World War II. All were still in pulp magazine format except for Astounding, which had switched to a digest format in 1943. Astounding continued to publish popular stories, including "Vintage Season" by C. L. Moore, and "With Folded Hands ..." by Jack Williamson. The quality of the fiction in the other magazines improved over the decade: Startling Stories and Thrilling Wonder in particular published some excellent material and challenged Astounding for the leadership of the field. A few more pulps were launched in the late 1940s, but almost all were intended as vehicles to reprint old classics. One exception, Out of This World Adventures , was an experiment by Avon, combining fiction with some pages of comics. It was a failure and lasted only two issues. Magazines in digest format began to appear towards the end of the decade, including Other Worlds , edited by Raymond Palmer. In 1949, the first issue of The Magazine of Fantasy and Science Fiction appeared, followed in October 1950 by the first issue of Galaxy Science Fiction ; both were digests, and between them soon dominated the field. Very few science fiction or fantasy pulps were launched after this date; the 1950s was the beginning of the era of digest magazines, though the leading pulps continued until the mid-1950s, and authors began selling to mainstream magazines and large book publishers. Catherine Lucille Moore was an American science fiction and fantasy writer, who first came to prominence in the 1930s writing as C. L. Moore. She was among the first women to write in the science fiction and fantasy genres, though earlier woman writers in these genres include Clare Winger Harris, Greye La Spina, and Francis Stevens, amongst others. Nevertheless, Moore's work paved the way for many other female speculative fiction writers. Comet was a pulp magazine which published five issues from December 1940 to July 1941. It was edited by F. Orlin Tremaine, who had edited Astounding Stories, one of the leaders of the science fiction magazine field, for several years in the mid-1930s. Tremaine paid one cent per word, which was higher than some of the competing magazines, but the publisher, H-K Publications, was unable to sustain the magazine while it gained circulation, and it was cancelled after less than a year when Tremaine resigned. Comet published fiction by several well-known and popular writers, including E.E. Smith and Robert Moore Williams. The young Isaac Asimov, visiting Tremaine in Comet's offices, was alarmed when Tremaine asserted that anyone who gave stories to competing magazines for no pay should be blacklisted; Asimov promptly insisted that Donald Wollheim, to whom he had given a free story, should make him a token payment so he could say he had been paid. Marvel Science Stories was an American pulp magazine that ran for a total of fifteen issues in two separate runs, both edited by Robert O. Erisman. The publisher for the first run was Postal Publications, and the second run was published by Western Publishing; both companies were owned by Abraham and Martin Goodman. The first issue was dated August 1938, and carried stories with more sexual content than was usual for the genre, including several stories by Henry Kuttner, under his own name and also under pseudonyms. Reaction was generally negative, with one reader referring to Kuttner's story "The Time Trap" as "trash". This was the first of several titles featuring the word "Marvel", and Marvel Comics came from the same stable in the following year. ↑ Stableford (2009), p. 29. ↑ Nevins (2014), p. 94. 1 2 3 Nicholls, Peter; Ashley, Michael. "Culture : Pulp : SFE : Science Fiction Encyclopedia". sf-encyclopedia.com. Retrieved May 21, 2016. ↑ Ashley, Mike. "Culture : Bedsheet : SFE : Science Fiction Encyclopedia". sf-encyclopedia.com. Retrieved May 21, 2016. 1 2 3 Murray (2011), p. 11. ↑ Nevins (2014), pp. 94–95. ↑ Ashley (1978), p. 52. ↑ Ashley (2000), pp. 28–35. ↑ Bleiler (1991), pp. 4–5. 1 2 Ashley (1985h), pp. 661–664. ↑ Bleiler, Everett F. "Themes : Dime-Novel SF : SFE : Science Fiction Encyclopedia". sf-encyclopedia.com. Retrieved May 21, 2016. ↑ Ashley (2000), pp. 47–49. ↑ Locke, John. "The Birth of Weird" in The Thing's Incredible! The Secret Origins of Weird Tales (2018), pp. 26–33. ↑ Locke (2018), p. 135. ↑ Locke (2018), p. 175. ↑ Locke (2018), pp. 196-197. ↑ Weinberg (1985c), pp. 727–728. ↑ Ashley (2000), pp. 43–44. ↑ Weinberg (1985c), p. 728. ↑ Ashley (2000), p. 41. 1 2 Ashley (2000), pp. 48–54. 1 2 Ashley (2000), pp. 62–63. 1 2 Ashley (1985e), pp. 315–317. ↑ Ashley (1985g), pp. 644–647. ↑ Bleiler & Bleiler (1998), pp. 560–561. 1 2 Ashley (2000), pp. 54–55. ↑ Aldiss & Wingrove (1986), p. 209. ↑ Ashley (2000), p. 50. ↑ Quoted in Ashley (2000), p. 50). ↑ Ashley (2000), p. 54. 1 2 Gernsback, editorial in Air Wonder Stories, July 1929, p. 5, quoted in & Bleiler & Bleiler (1998), pp. 541–542. ↑ Davin (1999), p. 47. ↑ Ashley (2000), pp. 65–67. ↑ Davin (1999), p. 39. ↑ Bleiler & Bleiler (1998), pp. 541–543. 1 2 Bleiler & Bleiler (1998), pp. 578–579. ↑ Ashley (2004), pp. 158–159. 1 2 Ashley (2000), pp. 69–70. ↑ Ashley (1978), p. 55. ↑ Ashley (2000), pp. 70–71. ↑ Ashley (2000), p. 71. ↑ Ashley (2000), p. 66. ↑ Ashley (2000), p. 248. ↑ Hersey (1937), p. 190. ↑ Ashley (2000), pp. 71–72. ↑ Ashley (2000), pp. 76–77. 1 2 Ashley (2000), p. 113. 1 2 Weinberg (1985c), p. 729. ↑ Weinberg (1985b), pp. 626–627. ↑ Ashley (2000), p. 76. ↑ Ashley (2000), p. 82. ↑ Ashley (2000), p. 260. ↑ Ashley (2000), p. 77. ↑ Davin (1999), p. 41. ↑ Bleiler & Bleiler (1998), p. 589. ↑ Clute (1995), p. 100. ↑ Stableford & Nicholls (1993), p. 1346. ↑ Bleiler & Bleiler (1998), pp. 587–588. ↑ Davin (1999), p. 94, note 38. ↑ Davin (1999), p. 70. 1 2 Ashley (2000), p. 85. 1 2 Ashley (2000), p. 84. ↑ Ashley (2000), p. 87. ↑ Ashley (2000), pp. 84–85. ↑ Ashley (2000), p. 86. 1 2 Ashley (2000), pp. 87–88. ↑ Ashley (2000), p. 67. ↑ Wolf & Ashley (1985), p. 57. 1 2 Weinberg (1985c), pp. 729–730. 1 2 Ashley, Mike. "Culture : Weird Tales : SFE : Science Fiction Encyclopedia". sf-encyclopedia.com. Retrieved January 2, 2017. ↑ Weinberg (1999), p. 120. 1 2 Weinberg & Everts (1988), pp. 65–66. 1 2 Weinberg (1988), p. 111. ↑ Ashley (2000), p. 91. ↑ Ashley (2000), pp. 100–101. ↑ Bleiler & Bleiler (1998), pp. 575–576. ↑ Ashley (2000), p. 98–99. ↑ Ashley (2000), pp. 104–105. 1 2 Ashley (2000), pp. 107–109. ↑ Pontin, Mark Williams (November–December 2008). "The Alien Novelist". MIT Technology Review. ↑ Ashley (2000), pp. 114–115. ↑ Ashley (2000), pp. 115–117. ↑ Weinberg (1985a), pp. 186–187. ↑ Ashley (2000), pp. 120–123. ↑ Marchesani (1985a), pp. 198–199. 1 2 Ashley (2000), pp. 136–138. 1 2 Ashley (2000), pp. 139–140. 1 2 Weinberg (1985c), p. 730. ↑ Clareson (1985c), p. 699. ↑ Clareson (1985c), p. 694. ↑ Ashley (2000), p. 141. ↑ Ashley (2000), pp. 141–143. ↑ Ashley (2000), pp. 146–147. ↑ del Rey (1979), p. 123. ↑ Ashley (2000), pp. 143–146. 1 2 Ashley (2000), pp. 150–151. 1 2 Ashley (2000), pp. 151–152. 1 2 3 4 Nicholls, Peter; Ashley, Mike. "Themes : Golden Age of SF : SFE : Science Fiction Encyclopedia". sf-encyclopedia.com. Retrieved January 7, 2017. ↑ Ashley (2000), p. 154. ↑ Clute, John; Pringle, David. "Authors : Heinlein, Robert A : SFE : Science Fiction Encyclopedia". sf-encyclopedia.com. Retrieved January 9, 2017. 1 2 3 4 Ashley (2000), p. 155. 1 2 Ashley (2000), p. 156. ↑ Clute, John. "Authors : van Vogt, A E : SFE : Science Fiction Encyclopedia". sf-encyclopedia.com. Retrieved January 9, 2017. ↑ Ashley (2000), pp. 152–153. ↑ Edwards, Malcolm; Ashley, Mike. "Culture : Startling Stories : SFE : Science Fiction Encyclopedia". sf-encyclopedia.com. Retrieved January 9, 2017. ↑ Ashley (2000), pp. 158–160. ↑ Ashley (2000), pp. 148–149. 1 2 Ashley (2000), pp. 160–161. ↑ Ashley (2000), pp. 161–163. ↑ Ashley (2000), p. 163. ↑ Ashley (2000), p. 140. ↑ Ashley (2000), pp. 141–142. ↑ Clute (1997a), p. 257. ↑ Ashley (1997a), p. 974. ↑ Clareson (1985c), p. 697. ↑ Ashley (2000), p. 123. ↑ Edwards, Malcolm; Clute, John. "Authors : Friend, Oscar J : SFE : Science Fiction Encyclopedia". sf-encyclopedia.com. Retrieved January 9, 2017. ↑ Ashley (2000), pp. 187–188. 1 2 3 Ashley (2000), p. 175. 1 2 Ashley (2000), p. 261. 1 2 Ashley (2000), pp. 193–194. ↑ Ashley (2000), p. 176. 1 2 3 Ashley (1985b), p. 236. ↑ Ashley (2000), pp. 177–178. ↑ Ashley (2000), pp. 174–175. ↑ Ashley (2000), p. 149. 1 2 3 Ashley (1985d), p. 280. ↑ Ashley & Thompson (1985), p. 514. ↑ Clareson (1985b), p. 242. ↑ Clareson (1985a), pp. 214–215. ↑ Wolf & Thompson (1985), p. 120. ↑ Thompson (1985), p. 632. ↑ Clareson (1985c), p. 695. ↑ Ashley (2000), p. 158. ↑ Asimov, Isaac (1969). Nightfall, and other stories. Doubleday. p. 93. ↑ Ashley (1976), p. 72. ↑ Edwards, Malcolm; Nicholls, Peter; Ashley, Mike. "Culture : Astounding Science-Fiction : SFE : Science Fiction Encyclopedia". sf-encyclopedia.com. Retrieved January 15, 2017. ↑ Ashley (2000), pp. 190–193. ↑ Ashley (2000), pp. 226–229. ↑ Ashley (2000), pp. 188–190. ↑ de Forest (2004), p. 76. ↑ Kyle (1977), p. 96. ↑ Clute (1995), p. 101. 1 2 Ashley (1997b), p. 1001. ↑ Clute (1997b), pp. 481–482. ↑ Joshi (2004), pp. 64–65. ↑ Joshi (2004), pp. 292–294. 1 2 Eng (1985), pp. 112–114. ↑ Nicholls, Peter; Edwards, Malcolm. "Culture : Arkham House : SFE : Science Fiction Encyclopedia". sf-encyclopedia.com. Retrieved January 15, 2017. ↑ Ashley (1985b), p. 237. ↑ Ashley (1977), p. 24. ↑ del Rey (1979), pp. 117–118. 1 2 Ashley (2000), pp. 179–180. ↑ Ashley (2000), pp. 183–185. 1 2 Clareson (1985b), pp. 242–243. ↑ Ashley (1985a), p. 107. ↑ Asimov, Isaac (1969). Nightfall, and other stories. Doubleday. p. 328. ↑ Ashley (2000), pp. 220–221. 1 2 3 Ashley (2000), pp. 221–223. ↑ Ashley (2000), pp. 212–213. ↑ Marchesani (1985b), pp. 398–401. ↑ Ashley (2005), p. 42. ↑ Ashley (1985f), p. 460. ↑ Ashley (2005), pp. 6–7. ↑ Ashley (2005), pp. 20–23. ↑ Ashley (2005), pp. 24–25. ↑ Ashley (2005), p. 20. ↑ Ashley (1985c), pp. 266–267. ↑ Ashley (2005), pp. 7–10. ↑ Casebeer (1985), pp. 768–770. ↑ Edwards, Malcolm; Ashley, Mike. "Culture : Worlds Beyond : SFE : Science Fiction Encyclopedia". sf-encyclopedia.com. Retrieved January 15, 2017. ↑ Ashley (2005), p. 41. ↑ Budrys, Algis (October 1965). "Galaxy Bookshelf". Galaxy Science Fiction. pp. 142–150. ↑ Ashley (2000); Ashley (2005); Tymn & Ashley (1985).